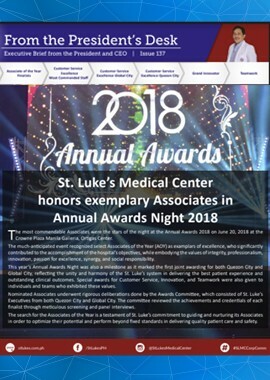 Our quarterly newsletter which gives you the latest news about St. Luke’s, stories from our patients and doctors, educational articles and health tips. 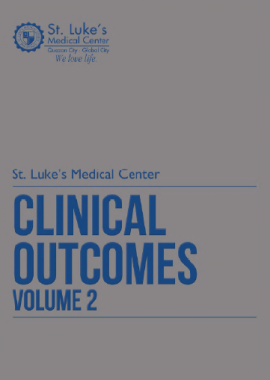 St. Luke’s constantly strives to improve its care for its patients through continuous education and training, research, acquiring state-of-the-art technology and benchmarking with the best in the world. All these result in good clinical outcomes which benefit our patients as they are able to return to regular daily activity and achieve quality of life. 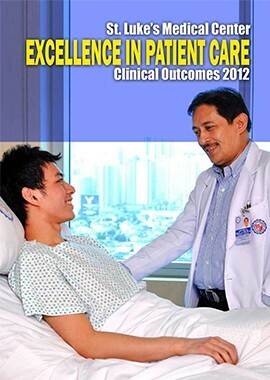 This section shares with you some of St. Luke’s clinical outcomes across different specialties which reflect our hospital’s commitment to quality patient care. 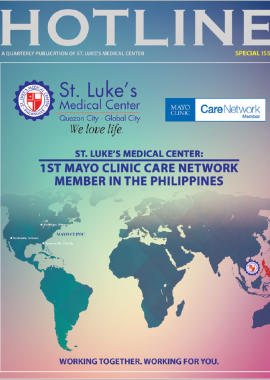 Our weekly executive brief shared across the organization so that medical and non-medical staff at both Global City and Quezon City hospitals can keep abreast with the latest events, activities and news happening at St. Luke’s.